Any thoughts reviews on the 6d? 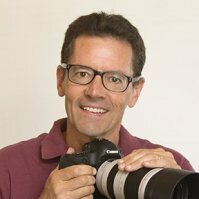 Hi Walter, thanks for your question about the Canon EOS 6D. In a nutshell, if you can afford it, it is a great way to get a professional-grade DSLR at a less-than-typical pro digital camera body price. When I was first looking at full-frame Canons, I just didn't want to spend the huge outlay that was required to get one of the Canon 1D series. I purchased the 5D, which at the time might be the equivalent of purchasing the 6D now. Because of the time frame, you are getting better technology with the 6D at a cheaper price than I did with the 5D. I waited about a year after its initial release to get a cheaper price (which is where you are now with the 6D) but didn't want to wait any longer to miss out on finally owning one.